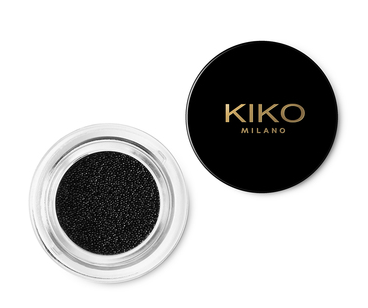 KIKO MILANO celebrates its 20th anniversary with the new limited edition ASIAN TOUCH Capsule cCllection. 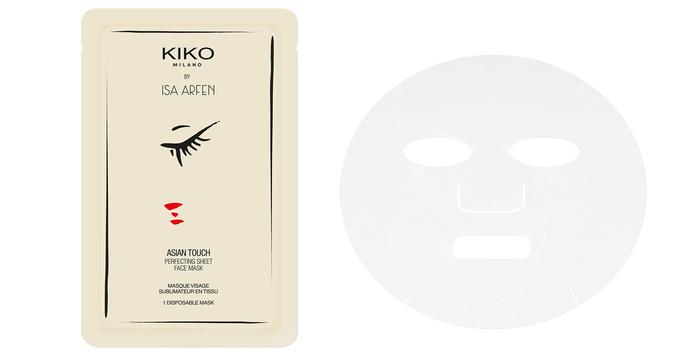 Asian Touch Capsule Collection is the fifth of the seven capsule collections created in collaboration with emerging designers selected by Vogue Talents to celebrate the 20 years of KIKO MILANO. This particular collection has been designed by Serafina Sama, the young designer behind the label Isa Arfen. Sama has created a collection for KIKO inspired by the indelible charm of the ethereal and charismatic far eastern beauty with an exterior expression of deeper well-being. Asian Touch Capsule Collection is created from inspirations of far eastern rituals. The integration of calligraphic arts brings Asian culture into the new KIKO Capsule Collection and makes them into unique must-haves. Asian touch puts the beauty of the skin in the center. The facial masks increase well-being and let the skin shine in its natural glow. "The make-up is clearly defined, simple and creates a makellosen complexion. It focuses on fiery red lips and extravagant, eyes with black eyeliner contours. The eyebrows underline the look with extreme precision. 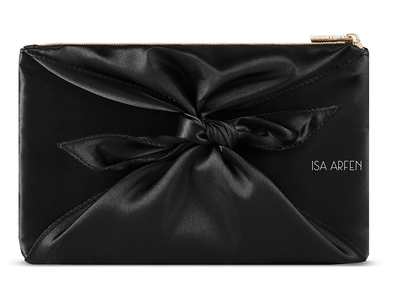 In addition to the Asian product design, Isa Arfen has designed an elegant black satin pochette, which perfectly matches the collection theme. 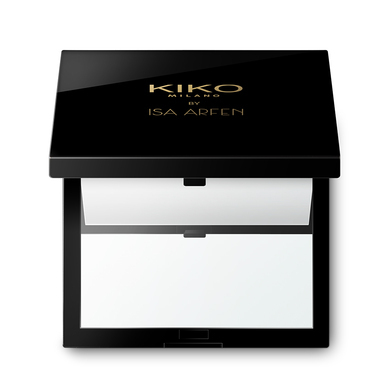 With the purchase of two Asian Touch products you get the exclusive charm from the collection and can further personalize their limited KIKO bracelet." Consists of one full-coverage eyeshadow and one holographic eyeshadow, which can be used as a highlighter or topper over the full-coverage shade to transform its finish. Allowing you to achieve multiple effects, including matte, holographic and iridescent. With an ink-like finish for extreme, graphic eyes. 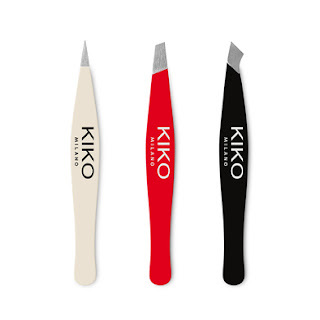 Its high colour payoff lets you draw both thick or thin lines with extreme precision. Intense, smooth-glide pencil liner for the inner and outer eye. It’s extremely soft and satiny texture guarantees excellent colour payoff. Drawing inspiration from Asian culture, its tapered shape and exclusive wooden design make it the ideal multi-purpose product. It’s also perfect as a hair accessory, adding an on-trend touch to any hair style. Soft-glide eyebrow pencil for even results. A bold, solid colour inspired by Eastern makeup. Drawing inspiration from Asian culture, its tapered shape and exclusive wooden design make it the ideal multi-purpose product. It’s also perfect as a hair accessory, adding an on-trend touch to any hair style. Highly pigmented and easy-to-blend blush. With its mousse texture, this blush offers excellent colour payoff for an immediate healthy glow. The result is fresh and natural makeup with delicate colours. It’s easy to apply, thanks to the soft applicator. High-coverage matte liquid lipstick. Maximum pigmentation offers over-the-top colour intensity and excellent coverage, with a comfortable matte finish that lasts. Application is easy and precise. Achieve a lacquer-like finish in just one coat. 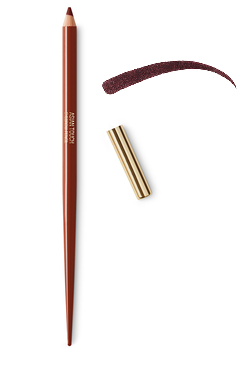 The extremely soft, creamy and satiny texture ensures unprecedented glide, all in one pencil. The product adheres evenly and is perfect for defining the lip contour with high precision. The perfect complement to lipstick, it can also transform into a hair accessory thanks to its exclusive wooden design, adding an on-trend touch to any hair style. Single-use perfecting face mask made from 100% natural fabric extracted from bamboo. The special weave in the fabric is inspired by ancient Asian rituals, providing a unique experience and perfect skin. The weave holds water and then releases it on the face, giving the complexion an even, perfected appearance. Dermatologically tested. Set of tapered brushes for applying eyeshadow and eyeliner. Professional tools for optimal product application, designed to apply the Asian Touch Holographic Eyeshadow Palette and Asian Touch Cushion Eyeliner. Their unique design makes them authentic artist accessories. Professional dual sponge for the application of foundation, blush and highlighter in liquid or cream formulas. It’s practical and comfortable, and is perfect for even, waste-free application. 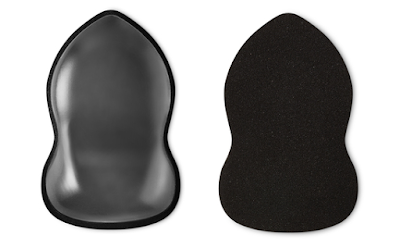 The sponge has two sides made of two different materials: the silicone side lets you apply product without it being absorbed by the sponge, whilst the traditional sponge side (latex free) makes for even application, for a flawless makeup look. Double mirror with and without magnification (1X and 2 X magnifications) an exquisite and useful tool, to be used to keep your makeup look flawless at any time. Elegant and compact, it’s perfect for keeping in your purse for quick touch-ups during the day. Set of 3 eyebrow tweezers with 3 different tips (angled, pointed and slanted) to perfectly define the eyebrows. The must-have accessories to help you define your eyes, these tools were specifically designed to be used on the various parts of your eyebrow arch and face. Elegant black satin clutch created by Serafina Sama, a young designer from fashion brand Isa Arfen, to celebrate KIKO MILANO’s 20th anniversary. 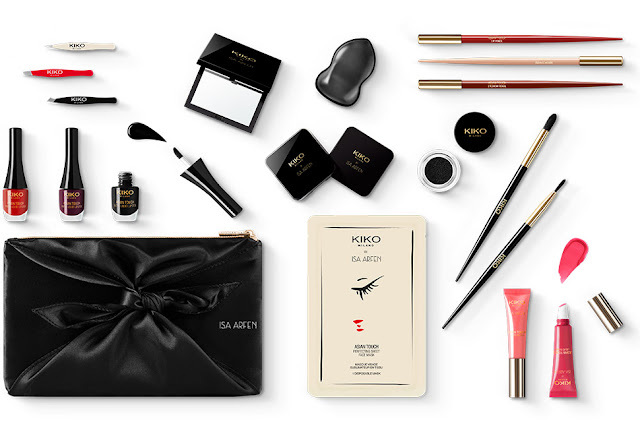 In line with the style of the limited edition Asian Touch capsule collection, this exclusive luxurious accessory is the result of the collaboration between KIKO and Vogue. The designer created the clutch to perfectly reflect Isa Arfen’s style, making it feminine, sophisticated and functional. A nod to Japan, the elegant knot in the middle is reminiscent of those seen on kimonos.